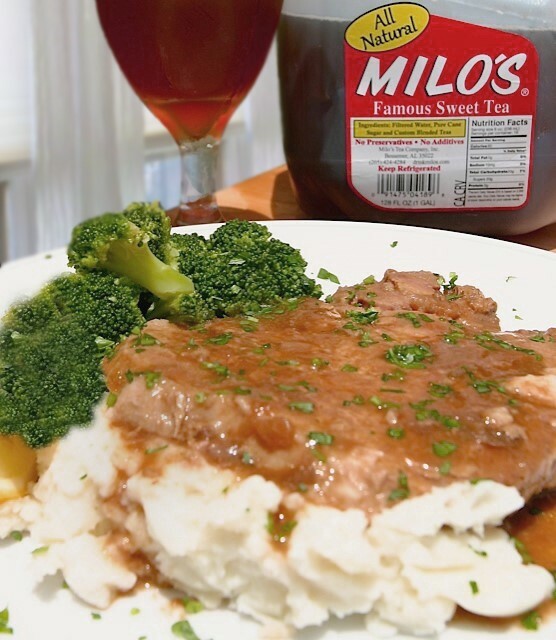 Slow Cooker Milo's Famous Sweet Tea Pork Chops and Gravy - Milo's Tea Company, Inc. In a medium size bowl, whisk together the Milo's Famous Sweet Tea, chicken soup, pork gravy mix and onion soup mix until no clumps remain. Pour Milo's Famous Sweet Tea mixture over the pork chops and cook for 3-4 hours on low. Serve warm over a bed of mashed potatoes or your favorite side!